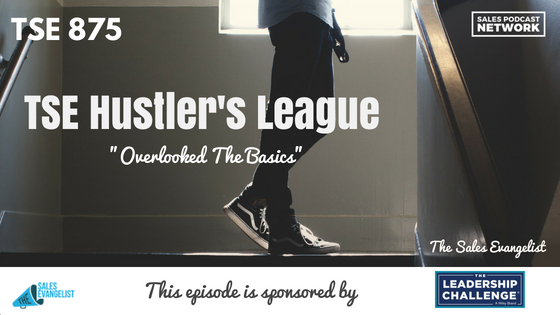 TSE 875: TSE Hustler's League-"Overlooked Basics"
Sales requires a predictable process, but too often sales professionals deviate from the established path. They improvise and eliminate steps, and lose sight of the overlooked basics. On today’s episode of The Sales Evangelist Hustler’s League, we discuss why it’s important to do the fundamental things that help you close earlier. Otherwise, you’ll find yourself lacking qualified prospects and closings, and in sales turmoil. Identify the objections you’re hearing often and address them as quickly as possible. If, for example, your prospect fears jumping into unknown territory, address the objection by offering referrals at an appropriate point in the process. Although you wouldn’t want to inundate your current customers with prospects seeking referrals, it might help you move beyond the objections. Think about the objections you repeatedly hear and address them accordingly. Sales professionals often make assumptions on behalf of their prospects about what their closing schedule looks like. Very often, misalignment on time periods creates difficulties. Instead of allowing those misunderstandings to fester, ask your prospect what their schedule looks like. The prospect won’t be offended that you asked. Aside from the common objections, you’ll still get random objections that indicate your prospect isn’t ready to buy. This is why it’s so important to qualify your prospects early in the process. If you skip over that step, you’ll wind up with prospects that aren’t ready to buy. I made the mistake of assuming once that because a prospect initiated the phone call with me, he must be ready to buy. I ignored the warnings that I should still qualify him, and ultimately I lost out. Find the customer who is the right fit for your organization. 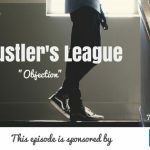 The Sales Evangelist Hustler’s League is an online group coaching program that will connect you with sellers from all industries all over the world. We’re accepting applications for our next semester this fall, and we’d love for you to join us. Check out our Facebook page, The Sales Evangelizers, for a taste of what our online coaching community is like. Grab your free excerpt of the book, Stop Selling & Start Leading: How to Make Extraordinary Sales Happen from our sponsors at Wiley. It’s a fantastic way to learn what buyers are thinking and how to sell the way they want to buy. Also, check out the Video Jungle podcast to discover how to use video to take your sales to another level.